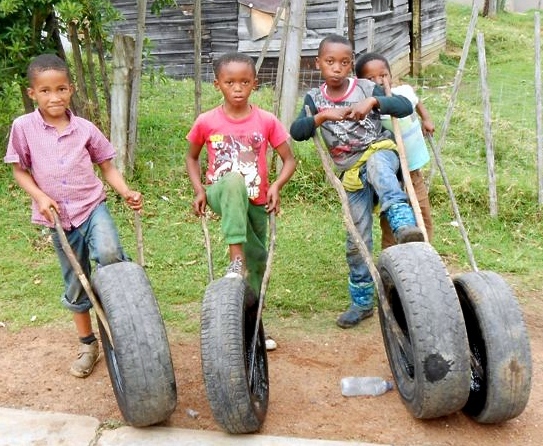 Playing with tires (tyres) is a common way for kids to make fun in the township. This entry was posted in Children by Janet & Jim. Bookmark the permalink.